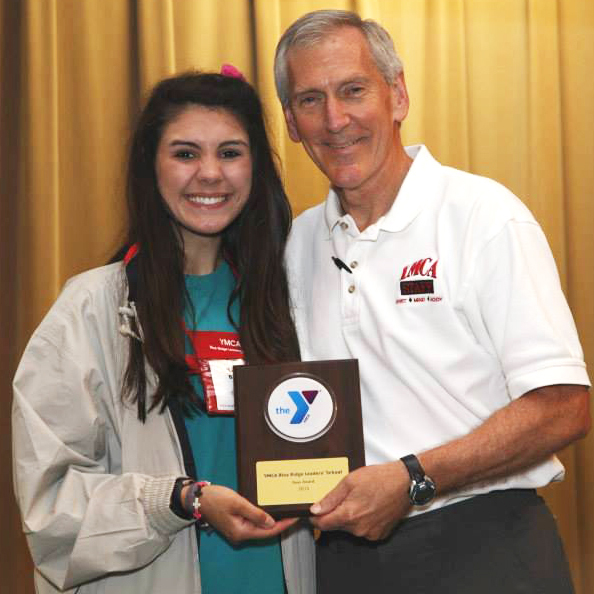 When I received my first bright red YMCA Leaders’ Club sweatshirt, I read on the back a quote by David Viscott, “The purpose of life is to discover your gift, and the meaning of life is to give your gift away.” I remember as a thirteen-year-old girl wondering, “what is my gift to give away”? Now, seven years later, I can say with the utmost gratitude that my Leaders’ Club experience has holistically challenged me to grow in my spirit, mind, and body. Whether completing physical fitness tests, seeking the Lord’s strength and love, or learning various leadership techniques, Leaders’ Club has given me the chance to better myself in many facets of my life, inwardly allowing me to discover my gifts to give away. After spending much of my childhood in various cities in Ohio and Missouri, Leaders’ Club was one of the first major organizations I joined upon moving to the Charlotte area. I was invited to join the Siskey YMCA Leaders’ Club, after Genevieve Holmes watched me lead my soccer team. My first Leaders’ Club interaction was meeting with the sitting president, Anna Weekley. We talked for nearly two hours about what the Leaders’ Club signified. I learned about the requirements of the club, which included obtaining 200 hours of community service, passing physical testing, and maintaining a strict moral code. I’ll never forget the passion Anna had for the purpose of Leaders’ Club; to serve others. Leaders’ Club allowed me to nd a purpose of servitude within myself, rather than taking on the mantra of the normal high school students. Intrinsically, by volunteering in the community I discovered one of my gifts, the priceless gift of servitude, while also developing strong leadership skills as I entered high school. Leaders’ Club has helped me become self- aware. I learned I am a “shark,” in which I handle confrontation aggressively and uncooperatively, however still effectively solving problems. I also learned that I am “gold,” mean- ing I am a conscientious perfectionist that enjoys planning and presenting. My senior year I was blessed to serve as the President of the club, where I was able to strengthen my communication skills and public speaking. These are two skills I will carry throughout my whole life and in sports broad- casting career at the University of Texas at Austin. Because Leaders’ Club has bestowed onto me the gift of self-awareness, I am able to work towards self-betterment in many areas of my life.